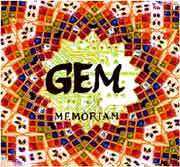 The idea of the project “inter-Generational European Memories (GEM)” attempts to gather together memories of seniors from the participating countries regarding people, places and events which are important for the wider local community. 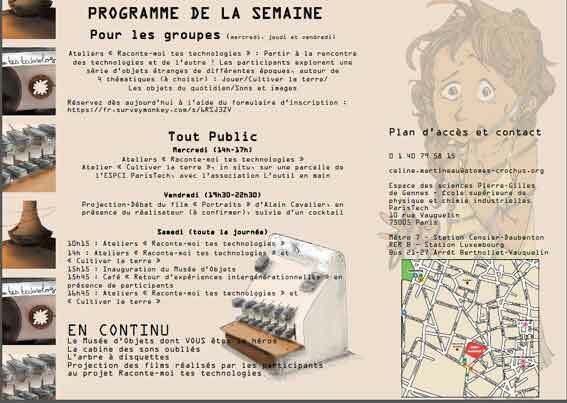 These activities will be focused on 3 areas of interest: the systematic elaboration and preservation of the parts of seniors’ memories (MEMORIES), transmission of the knowledge (courses of ICT and/ or language - ACTIVE AGEING) and indication of the plane of inter-generational dialogue (SOLIDARITY BETWEEN GENERATIONS). Both traditional and innovative forms of working with seniors will be used. Elderly students, who do not know how to use computers or who do not speak English well enough to communicate, could achieve adequate computer or language skills, so that they would be able to continue learning without a tutor and they will break psychological barriers, with the help of younger instructors. During the meetings we intend to learn much more about the host organization, the culture of the country and the visited city. Every partner will be asked to share his/her experiences in English. The Wiki platform will be used for presentation of the gathered knowledge, being common for all the involved countries. It will be possible to create an encyclopedia with descriptions and characteristics of people, places and events significant for the wider local community in the seniors’ eyes using ITC tools. The materials will be also uploaded to the site of The European Shared Treasure so that the project’s achievements may become the part of the wider European cultural heritage. - cooperation between involved organizations: sharing information, discussing problems and finding solutions. The biographical learning will be a basic method of work in the project. Every institution should have a coordinator or translator, who is able to translate the results into English and cooperators, which are familiar with the new technologies. 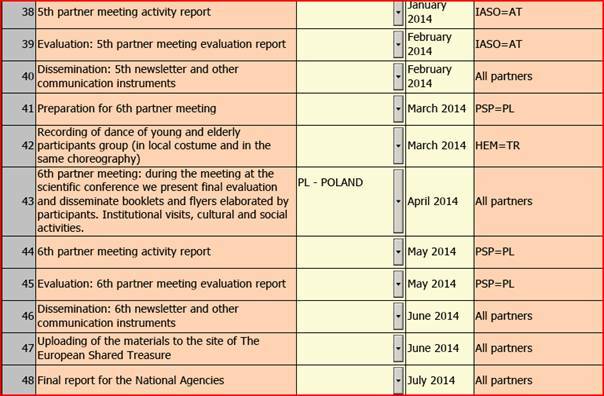 Tasks: Coordination of the project, training in biographical learning as a basic method of work for all coordinators. 1. The coordinating partner will oversee all actions undertaken in the partnership. If something doesn't work as planned, the coordinator will contact the partners responsible and then will suggest corrective actions. The cooperation during the project will be supported by meetings in project partners’ institutions, which are usually better for stimulation of activities and exchanging ideas. Furthermore, visits of representatives of working group (seniors and younger) will strengthen inter-generational and intercultural dialogue. Between the project meetings we will communicate regularly in the Internet. Therefore a mailing list will be established and used to publish a regular Newsletter, which will inform about the news in the Learning Partnership. In the beginning of the project we will set up a project website for publishing news about the project. All partner organisations will get access to that website in order to publish there. Staff of the partner institutions will plan and build the strategy from the very beginning, taking advantage of previous experience. Teachers will be involved in formulating the new program of learning (analyzing needs of students/ seniors and possibilities of new technology), in the research activities – studying the relevant literature, analyzing studies on seniors’ learning styles, writing reports. One teacher will be directly involved in the English language course, meanwhile another one will provide the IT course and mentoring for learners. The younger cooperators and staff members will do interviews (using biographical methods which will be evaluated) with seniors about their life experience and reportages about their community. The staff and the students (older and younger) will be involved in the entire implementation process, including regular visits to the partners' institutions. 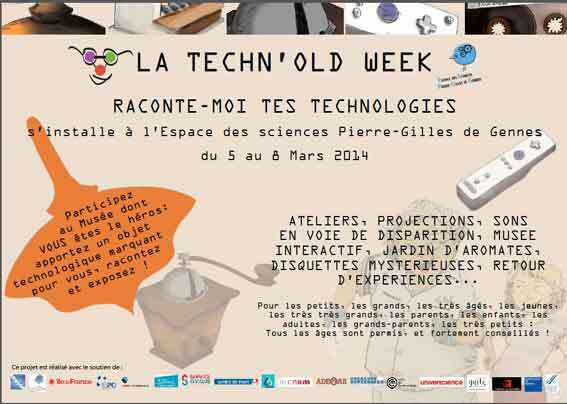 One of the project’s implementation activities will be an intergenerational workshop, in which seniors and juniors in pairs will compare their memories and associations with the same kind of objects (eg. toys, pets, songs), showing similarities and differences and the effect will be presented on blogs constructed by both generations but led by seniors. The memories of seniors and their personal documents (photos, letters, souvenirs) will be arranged and elaborated in the form of “Little Book of Memories” which will be presented during the international meetings. Staff and learners will also be involved in the research, done in focus group for the final evaluation. Additionally, staff will prepare evaluation questionnaires for course participants to evaluate at every partnership meeting. P1: will organize courses about inter-generational dialogue, will take care of active involvement of the partners and also will take care of comparison of the project results; P2: ITC and English (Eng.) lessons for ca. 20 seniors + several additional workshops regarding the project’s theme, in which memories of the seniors will be collected. Will be created a diary with different experiences, stories and values of each participant senior; P3: can count on solid linkage with the target project groups, involving senior associations of volunteers and senior cultural associations and it can rely also on a solid technological background which will support project activities, adding an important added value; P4: Eng. and ICT courses for senior managed by younger people. Senior will talk with young people about their way of using technology (opportunity to understand better the world as it is now and in which they live); P5: Eng. and ICT classes for seniors and juniors (working in pairs) divided into 2 groups. Juniors will help the seniors to improve their skills in using ICT and seniors will compare the old technology and methods for resolving daily problems of their own time. The seniors will help the juniors to imagine how the past life was and they will try to uncover cultural and moral differences working with the same topics; P6: ICT and Eng. lessons in the topic‘ how to use social networks on the internet for 40 seniors. Will be created a workshop of digital and analogue photography to collect pictures of the cultural and historical heritage. The result of the work will be a booklet which will collect experiences and memories of the seniors; P7: will organize a class of a minimum of 20 seniors who are going to be familiarized with ICT and Eng. language courses. Young people will be invited to participate with: they have more skills in both ICT and Eng. will assist the learning process in workshops while they will exchange information (cultural gap between generations); P8: will create a group of students that will help in the development of GEM (organization of Eng. and ITC courses). Will be organized a group of seniors, part of other project in the US (‘aula de la experiencia’) that could give the feedback of their experience; P9: focus on collect information about the experiences of the older learners with ICT courses and on cultural aspects of older learners from Austria and their attitudes and desires. At the end of each international meeting, all participants will be asked to complete an evaluation form, which will contain questions about the meeting and the partnership. The coordinators in the partner organizations will be asked to fill in an evaluation form together with their local working groups after every stage of the project and about activities between partnership meetings. When the courses are completed, we will do research on the seniors education process and will organize a focus group in each organization. The information acquired during the research will be subsequently compiled by us and published as a coursebook or methodological files. All the tutors who ran courses and partner coordinators will undertake evaluation Internet. After the final conference in Wroclaw the final evaluation will be conducted: the forms will contain general questions about the partnership, its objectives and aims, the involvement of each partner, the number of country exchanges, etc. A book on the effectiveness of the project will be published where the results will be compared with the objectives of the project. The Wiki platform will be used for presentation of the gathered knowledge as a common tool for all the involved countries. By using ITC tools it will be possible to create an encyclopedia with description and characteristics of people, places and events significant for the wider local community in the seniors’ eyes. Materials will be also uploaded to the web of European Shared Treasure. The learners will create project groups in social networking sites such as Facebook. Main channels of dissemination will be: conferences and seminars organised by local authorities and NGO's; flyers about the project; Internet sites of each participating organization; the international scientific conference; scientific book about the project, which will include details of the research process, concept and information about effects achieved in the project. 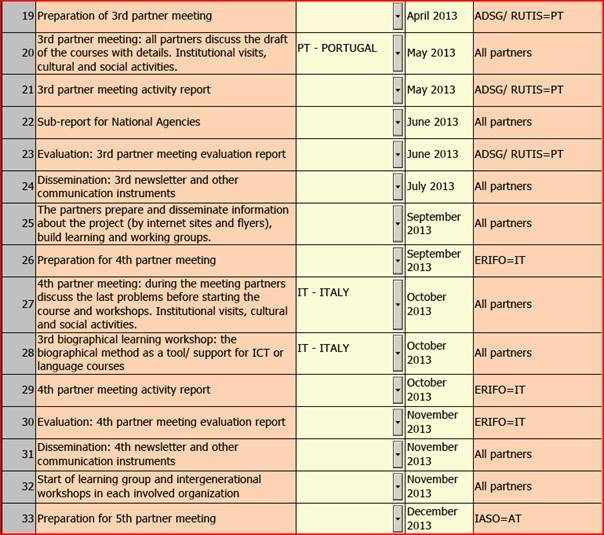 As well: P1 members will include the project outcomes and results to the learning program at the Wroclaw University for students of adult education; P2 will disseminate the project outcomes and results to the 182 Third Age Universities in Portugal; P3 will disseminate and exploit of results, thanks to its national and internal strong networks. The involvement of elder people will be realized through the associations of retired people and of senior volunteers, through Community Clubs of Seniors, sports clubs, cultural associations; P4: will disseminate project by partnership with other associations; P5:Descriptions of the old and the new life styles will be collected and compared in a book with photos and short memories, which will be used for the dissemination of the effects; P6: will disseminate the results and the good practices, due to an extensive network of partners, including the City of Gondomar, the Social Network with almost 170 Institutions in the region and the Confederation of Public Institutions in Portugal (CNIS) with 2500 Institutions; P7 will create an on-line instruction booklet on adult education practices especially addressed to those trainers, who wish to train senior learners; P8 will organize seminars where the methodology will be tested by the teachers and will find the best way to share the results with other partners. All the results of these seminars will be published in the booklet that will be compiled at the end of the project; P9: will provide the website for the project, including an online evaluation system for the project.